We have a large range of new tyres to suit tractors, earthmovers, irrigators and agricultural equipment from our Palmerston North Warehouse. 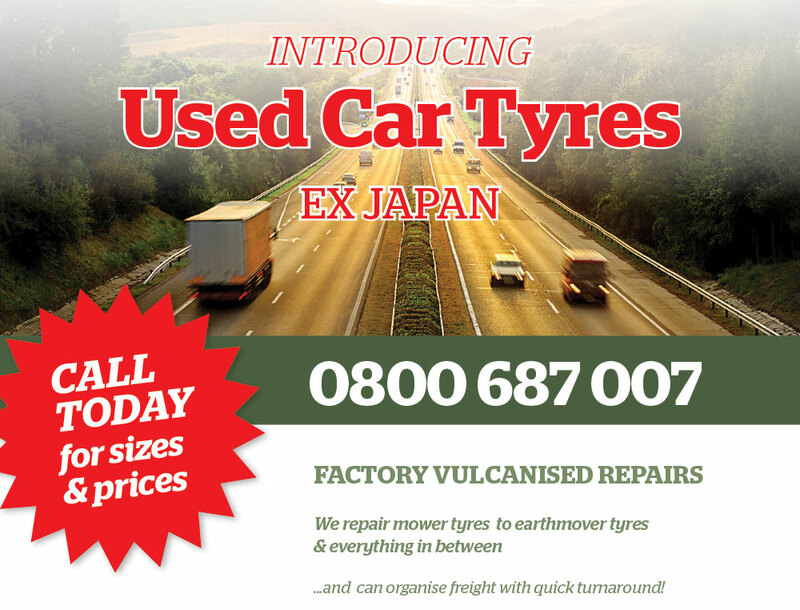 We Buy, Sell and Trade Quality Used Tyres. We have an extensive range of Quality Used tractor, agricultural and earthmover tyres at competitive prices. We offer Quality Factory Vulcanised Repairs to your damaged tyre. Our efficient process means limited downtime to your equipment, and a cost effective option. Contact our experienced staff today to discuss your requirements for New Tyres, Used Tyres and Vulcanised Tyre Repairs. Call us Today. MTR Group is a family owned and operated wholesale business based in Palmerston North, New Zealand. We specialise in the supply of new and quality used tractor, agricultural, earthmoving and irrigator tyres throughout New Zealand and the Pacific Island Nations. We also offer quality Vulcanised Factory Tyre Repairs for damaged tyres of all types and sizes. We offer more than 25 years of combined experience within all aspects of the tyre industry, and are available to help with any of your tyre needs and queries.